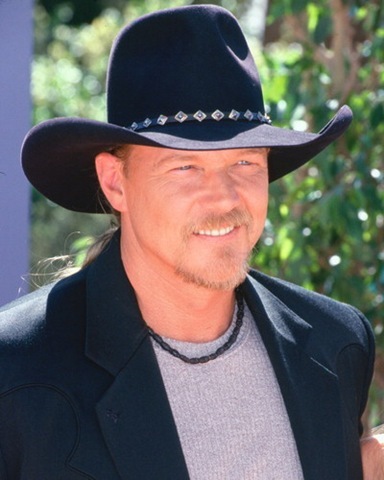 Trace Adkins,”Marry for Money,” is set to hit radio airwaves today (Jan.12). I haven’t heard it yet, but it’s described as hilarious, and has already been the No. 1 streamed country song on plaympe.com, where it also charted at No. 2 of their Top 5 downloads. PlayMPE.com is the most widely used digital distribution system available to the recording and radio industries (according to Trace’s website). 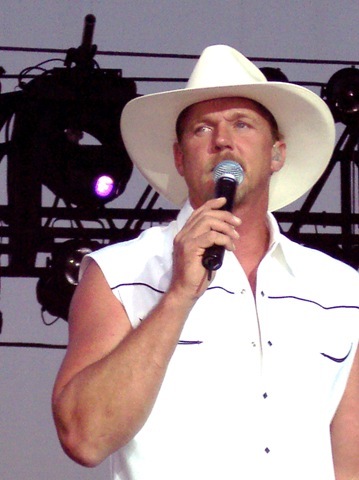 Trace’s album, “X” has been out since November and other songs on the CS include Sweet, Happy to Be Here, All I Ask For Anymore, Let’s Do that Again, Hauling One Thing, Better Than I Thought it’d Be, Till the Last Shot’s Fired, I Can’t Outrun You, HIllbiilly Rich, Sometimes a Man Takes a Drink, and his first release from this album, Muddy Water. The Soverign Center in reading, Pa., who recently had Dolly Parton in concert, has Trace scheduled for a concert there on Valentine’s Day! What a great date that would be. But before that, Trace will be in Huntington,W.Va., at Big Sandy Arena, on Feb. 12, and Canton Ohio’s Civic Center on Feb. 13. He then heads to Tulsa Okla., for a Feb. 19 show at BOK Center, Kansas City, Mo. on Feb. 20 for an appearance at Midland Theater, and Wichita Falls, Texas on Feb. 21 for a show at Kay Yeager Coliseum. Here’s a clip from Trace when he was in Iraq doing one of his USO Tours. I think it’s great that so many are willing to go over there and entertain for our military men and women. You go, Trace! Looks like it’s time to head out of here for the day. You guys stay in touch!